Both Body and Soul are necessary for our health. Psychological Support Department is an integral part of the therapy treatment. Its role is judged important, since it contributes to the best possible result, along with the patient’s physical recovery. It is difficult to confront such number of changes inside the family, in interpersonal relationships, in professional and social environments not only for the patients themselves but also for their families. The family roles change and all the members have to face the new, sometimes difficult, reality. Since patients are admitted to the hospital (together with their family) we are ready to offer them psychological support services, individually or in groups. More specifically, patients and people from their family environment are being evaluated by the psychologist of our Centre and after a first acquaintance and considering their psychosocial history, it is suggested individually to each one the most appropriate therapy treatment. Information regarding changes in patients life, such as sexual behaviour, smoking, nutrition, school, other habits – in cooperation with the other therapists of the centre. Parents and other family members counseling. 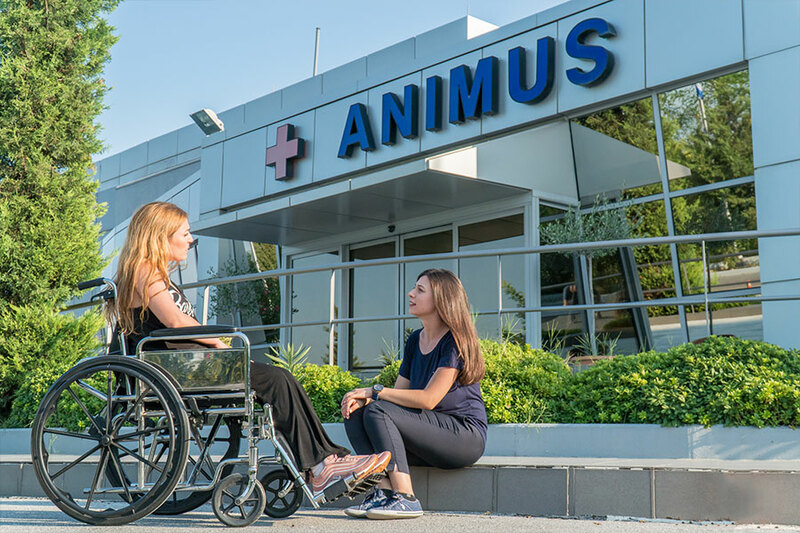 Psychological support and education in ANIMUS personnel, in order they are able to cope with their job’s everyday difficulties. Psychological support department’s aim is: not only the patient’s psychological support but also his family’s; so as to manage with the best possible way the new situation, with its difficulties and its new potentialities.